The Foley Field Foundation is a nonprofit corporation. The charitable purpose for which the corporation is organized is to raise funds through public, governmental and private sources for the improvements and maintenance of the Foley Field Complex for the benefit of the entire Bloomfield Community. For more information, please e-mail us at information@foleyfieldfoundation.org or call us at (973) 619-0261. CELEBRATING OUR 7TH ANNIVERSARY in 2017! The Foley Field Foundation is committed to raising funds towards continued improvements and ongoing maintenance at the Foley Field athletic complex now that the substantial and enduring new Grandstands have been completed courtesy of a 2010 NJ State Green Acres Grant of $900K. The seating capacity of +/- 2,000 allows spectators to enjoy the state of the art playing surfaces that have already been installed. Plans are currently underway for the construction of a Two-Story Multi-Purpose Building which will provide a Concession Stand Area, Rest Rooms and Storage on the ground floor PLUS a separate Meeting & Events Facility on the second floor. Additionally, 2 New Ticket Booths were installed in 2013. Football, Soccer, State Track Meets, Concerts, Band Festivals, Graduation Ceremonies, July 4th Celebrations, Fundraising Events and more… It’s all right here at Foley Field! The Foley Field Foundation is pleased to offer two new innovative and exciting program as we continue our mission to “Restore the Glory” at our beloved Foley Field. Net proceeds from these programs to Benefit Phase III Revitalization Improvements. These programs offer a permanent (10 years minimum) and exclusive recognition in return for each Sponsor Donation accepted by the Bloomfield Board of Education. As a Registered 501 (c)-(3), All Donations to the Foley Field Foundation Inc. are Fully Tax Deductible. 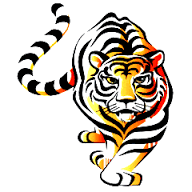 Click on the Bengal Tiger for the Bloomfield School District home page.